Are you ready to buy a home – really ready? Before you become a first-time home buyer, make sure the answer to that question is yes. Homeownership comes with both economic and lifestyle benefits. In addition to certain tax advantages and the potential that your home will appreciate in value, you have the freedom to decorate, renovate and landscape to your heart’s content. You are the landlord. There’s just one catch: affordability. Unless you want to live on a ramen-noodle diet indefinitely, it’s very unwise to become a homeowner until you can afford to buy and maintain the property. Fortunately, there are many financing options for first-time home buyers, including government-backed mortgages, down payment assistance programs and even grants. You may be surprised at how affordable your first home could be. Click to check your home buying eligibility. A common rookie mistake is underestimating the total cost of home-buying and homeownership. For this reason (and others), 39 million U.S. households can’t afford their current housing, according to a report from Harvard’s Joint Center for Housing Studies. Although experts advise that you spend no more than 25% to 30% of your income on rent or mortgage payments, one-third of American households in 2015 spent 30% or more of their incomes on housing. Almost 19 million spent more than 50% of their income on housing. Some of these “cost burdened” people are homeowners who didn’t realize until it was too late that buying a house involves a number of hidden costs. Appraisal fee: A professional appraiser’s estimate of the home’s value. Survey fee: for verifying the property’s boundaries. Wire transfer fee: a charge for wiring your payment for the home. Underwriting and origination fees: charged by the mortgage lender for processing your loan application. Discount points: a percentage of the total loan, paid at the closing, to lower the interest rate on your mortgage. Credit report fee: a fee charged by the lender for obtaining your credit history and scores from the three credit bureaus – Experian, Equifax and TransUnion. Title insurance: a policy that protects you if the seller doesn’t have full deed and authority to the property. Recording fees: government fees for entering new property records. For a $300,000 home, you can expect to pay $6,000 to $10,000 in closing costs. And these are just the costs of buying the property. Once the home is yours, you’ll also need to pay for utilities and property taxes, as well as homeowners and (possibly) hazard insurance. You may not need hazard insurance if you don’t live in an area prone to natural disasters – e.g., floods and earthquakes. However, homeowner’s insurance is a must, and it will cost you $500 to $2,000 a year. If your down payment is less than 20% of the sale price, or you got a mortgage backed by the Federal Housing Administration (FHA) or U.S. Department of Agriculture (USDA), mortgage insurance will be another cost for you to bear. Mortgage insurance protects the lender in case the borrower defaults. The premiums are often included in the mortgage bill. Remember those calls you used to make to the landlord when the refrigerator broke down or the heat was on the fritz? As a homeowner, repairs and routine maintenance are now your job. If you buy a condominium or co-op, you’ll receive a monthly bill for maintenance fees. In high-priced urban areas, these fees can be almost as high as the mortgage payment. Finally, if you buy a home in a neighborhood with a homeowner’s association (HOA), factor HOA fees into your cost calculations, as well. According to the National Association of Realtors (NAR), about 10% of buyers purchase their homes with cash. The other 90% finance their home purchases with a mortgage. Basically, a mortgage is a loan secured by real estate – e.g., the house that you purchase. The word mortgage means “dead pledge” in Old French. Under early Anglo-Norman law, a borrower who obtained a mortgage pledged his property to the lender as security, and the lender took control of the property until the loan was repaid. Profits from the land were used to pay off the loan and/or collected as interest. By the late 1400s, the mortgage had evolved into its current form. Today, the borrower retains control of the property unless he fails to repay the loan, in which case the lender takes the property. Mortgage payments are usually broken into four parts: Principal, Interest, Taxes and Insurance (PITI). Principal is the amount that you borrow. Interest is what the lender charges you to borrow the money. Taxes are property taxes paid to the state and municipality (and sometimes the county). Property taxes vary by state and county, but the nationwide average is 1.15% of a property’s current assessed value. Insurance includes homeowner’s and hazard insurance and, sometimes, mortgage insurance. Once you know your PITI, use a calculator to estimate your monthly mortgage payments. A Fixed-rate mortgage charges an interest rate that stays the same (fixed) for the life of the loan. This is the most popular type of mortgage. Most borrowers don’t want to risk paying higher rates in the future. An Adjustable-rate mortgage (ARM) charges an interest rate that may rise or fall. In some cases, a lender will offer you a low introductory rate and then raise the rate on specific dates. In other cases, the rate is tied to market conditions – usually the prime interest rate set by the Federal Reserve Bank. In the short term, you can save money with an ARM, but if interest rates rise, you may want to refinance to a fixed-rate mortgage. Government-backed mortgages are loans made by private lenders, but guaranteed by government agencies such as the FHA, USDA and Veterans Administration (VA). Because these agencies guarantee repayment of the loans if the borrower defaults, they are often good first-time home buyer mortgages. Thanks to the guarantee, many lenders make it easier to qualify for the loans, and the interest rates and fees are often lower. Some private lenders also have first-time home buyer programs that feature some of the same benefits as government-backed mortgages. In addition to different interest rates and fees, mortgages also have different terms – i.e., durations. Although you can get a mortgage with a term ranging from 10 to 40 years, 15- and 30-year terms are the most common for fixed mortgages. ARMs usually come with a 15- or 30-year term. If you want to reduce the size of your monthly payment, a mortgage with a longer term is best because the payments will be spread over a longer timeframe. However, a longer term costs you more because interest will be accumulating over a longer period, so shorter-term mortgages are best if you want to lower the total cost of the loan. It’s a very good idea to put your financing in place before you start home shopping. To do this, get a preapproval letter from one or more lenders – not just a prequalification letter. A preapproval letter confirms that you will be able to borrow X amount based on that lender’s evaluation of your credit score, assets and income. With prequalification, the lender is merely estimating how much you could borrow. It’s not committing to giving you a loan. Although getting preapproved takes longer and requires you to pay an application fee, it’s a worthwhile investment. Getting preapproved lets sellers know that you’re serious about buying and, even more important, that you will have the money to close the deal. For generations, conventional wisdom held that renters were “flushing money down the toilet.” According to this view, every American should strive to become a homeowner. But after the 2008 housing bust, some of the pro-homeownership pundits did an about-face, declaring that home ownership was now overrated. First, renting is not the same as flushing money down the toilet. In exchange for rent, you get a place to live – tax-free and without having to perform (or pay for) repairs and maintenance. Second, only you can determine whether buying or renting makes the most sense right now. A wise decision depends on a variety of factors, including your personal finances, your credit score and credit history, the length of time you expect to live in the home, and the total costs of the purchase. Any of these variables could change the math, making homeownership more or less affordable. To see how these “inputs” affect the “rent or buy” equation, use this calculator from The New York Times. In general, the longer you stay in a home, the more financial sense it makes. With each passing year, you compensate for the upfront expenses (down payment, closing fees, etc.) in the form of money that you save on rent. In most cases, you probably won’t have to do a lot of math. As long as you won’t be spending more than 25% to 30% of your income on housing, you should be fine. To qualify for a non-government-backed mortgage, you’ll need to make a substantial down payment – often, 20% of the home’s purchase price. Start saving for a down payment. Borrow money for a down payment. Apply for a down payment assistance program. First, determine how much you need to save by setting a maximum price for your home. If $250,000 is the limit, you may need up to $50,000 for a down payment. Next, figure out how much you’ll have to set aside each month to reach the goal. For example, if you save $700 per month, you’ll accumulate $50,000 in just under six years. If you’d rather not wait that long, you could put your money to work by investing in the stock market. If you take this route, however, play it safer by investing in mutual funds, especially those tied to the overall market (Index Funds). Because mutual funds – particularly Index Funds – contain a variety of different stocks, they are less prone to wild fluctuations in value. Don’t put all your eggs in the stock market basket. It’s a good idea to limit this investment to just 25% of your savings. Put the rest of the money into a high-yield savings account, money market funds or certificates of deposit. The returns may be lower, but the money will definitely be there when you want it. Normally, early withdrawals from Individual Retirement Accounts trigger a hefty penalty. But there’s an exception for first-time home buyers. You can withdraw up to $10,000 to buy your first home – penalty free. A couple can withdraw up to $20,000. Just be sure to use the money within 120 days or you’ll incur a 10% penalty. If you have a 401(k) account, you can borrow up to half the money (to a maximum of $50,000) for a down payment. The only caveat: you must repay the loan within five years, including interest (which goes back into your account). If you don’t repay the loan on time, however, you’ll have to pay income taxes and penalties on the entire amount outstanding. Also, if you change jobs during the repayment period, the remaining balance becomes due within 60 days. Needless to say, don’t pursue this option if you’re likely to change jobs soon. Nationwide, there are more than 2,400 programs available to help people afford a home of their own. These programs include grants, loans, tax credits and other forms of assistance to help eligible home buyers with down payments, closing costs and other expenses. The programs are offered by state and municipal housing finance agencies, housing authorities, non-profit organizations and even some employers. Here’s a list of home buyer assistance programs for all 50 states. 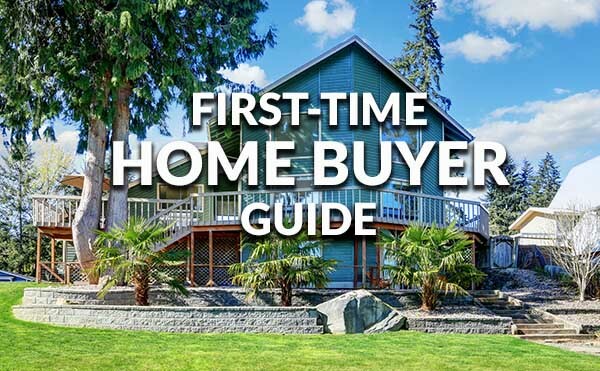 Many programs are specifically designed for first-time buyers. To qualify, both you and the house you’re purchasing must be eligible (investment properties are not). In addition, you must make a minimum investment in the property, qualify for a mortgage and complete home buyer education. Other eligibility requirements may include the home’s sale price, your income and your history as a homeowner. Don’t make the all-too-common mistake of assuming you don’t qualify for a down payment assistance grant. For example, eligible homeowners who earn up to 140% of their area’s median income can still qualify for down payment grants. Even if you don’t qualify for a grant, you may qualify for an interest-free loan to help you make the down payment. On average, home buyers get about $5,000 to $20,000 in assistance, depending on their location. In a high-cost region, you may qualify for as much as $100,000. Some private lenders also have programs to help first-time home buyers get a low down payment. Call some mortgage lenders in your area to learn if they have such a program. Your credit score (aka, FICO score) and credit history are key factors in determining whether you qualify for a mortgage and, if so, the cost of that mortgage and the maximum you can borrow. On a scale of 300 to 850 points, a score of 700 or more is generally considered “good” while a score above 800 is “excellent,” according to Experian (one of the three big credit bureaus). In theory, lenders will approve conventional mortgage loans to people with scores as low as 620. Government-backed mortgage programs are even more lenient. The minimum score for an FHA mortgage is 580, and the VA and USDA mortgage programs have no minimums. You should know, however, that these minimums are merely guidelines. For example, some lenders will balk at issuing a mortgage to someone with a score of 580, even though the FHA considers that score acceptable. Because lenders have to process so much information when considering mortgage applications, most use automated underwriting software (AUS) to make their decisions. If your credit score is poor, but you have a high, stable income, plenty of savings and a manageable debt load, you’re likely to get approved for a mortgage. You’re also likely to be approved if your credit score is strong but the other criteria are average. A low credit score may not sink your mortgage application. But a bad credit history is another story. If you have a history of late or missed payments, and if some debt has gone to collection agencies, your loan will probably be denied. 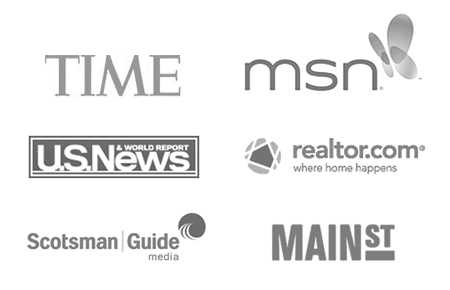 Before you apply for a mortgage, check your credit score with all three of the major reporting agencies. If you find any errors or inaccuracies, request a correction from each agency whose report contains flawed data, as well as the creditors that supplied the erroneous information. When you apply for a mortgage, the lender will pull your credit reports from all three bureaus, and use the median (middle) score. For example, if your scores are reported as 680, 700 and 720, the lender will use 700 as your score. If you apply for a mortgage with a spouse or domestic partner, the lender will also check that person’s scores. In this case, it’s the applicant with the lowest credit score who determines how much the loan costs or if you even qualify for financing. Before you torpedo an application, use a mortgage calculator to see if you can qualify for the loan on your own. If your income is sufficient, you can leave your partner off the mortgage altogether. If your income is too low to qualify for a loan, see if you can include some (or all) of your partner’s income to help qualify without putting that person on the mortgage. Some lenders offer a flexible program that allows eligible borrowers to consider income from non-borrowing members of their households. Under these programs, lenders allow you to stretch the debt-to-income guidelines. Of course, the best remedy for an anemic credit score is direct action. Take steps to add some “muscle mass” to that score. Roughly 72% of homeowners obtain conventional mortgages – loans issued by private lenders with no government repayment guarantees. At first glance, this may seem a tad bizarre. After all, most conventional mortgages have higher interest rates and stricter requirements to qualify, including higher down payment, income and debt-to-income criteria. Why do so many people choose them? The answer is mortgage insurance. If you have a healthy income, a strong credit score (700+) and can make a down payment of 20%, you won’t have to get private mortgage insurance. Even if you can’t avoid PMI, it often costs less than the mortgage insurance premiums (MIP) required some government-backed mortgages. And once your LTV (Loan to Value) Ratio drops below 80 percent, a conventional loan allows you to drop the mortgage insurance altogether. MIP lasts for the life of the loan. Also, conventional loans don’t require you to live in the home (which is good if you want to buy an investment property), and you may get a larger loan than you would with another mortgage type. If your income and credit score are underwhelming, an FHA loan may be a good fit. There are no minimum income requirements, and you’re more likely to be approved if you have a poor credit score. The down payment can be as low as 3.5%, and interest rates are often lower than those for conventional loans. The downside is that the MIP may offset the lower interest rates. A home buyer who gets an FHA loan must pay an upfront MIP of 1.75% of the base loan amount, regardless of the LTV Ratio. After that, a smaller MIP is included with the monthly mortgage bill for the life of the loan. However, the monthly MIP will be lower if you opt for a shorter term (e.g., 15 years instead of 30), or if you make a larger down payment. And because the MIP is a percentage of the outstanding balance, the amount you pay will fall as the balance dwindles. Check your FHA loan eligibility. These loans were designed for people with limited financial resources who live in USDA-designated rural areas. This designation comprises about 95% of the land in the United States and 100 million people. So don’t assume that you don’t qualify, even if you live near an urban area. As with FHA loans, the USDA does not loan money itself. Instead, it insures 90% of the loan amount. This encourages private lenders to issue mortgages to people who otherwise might not qualify. No loan limits. Unlike FHA and VA mortgage loans, there are no restrictions on the size of the mortgage you can obtain. Lower mortgage insurance fees: an upfront fee of 1% of the borrowed amount + a monthly fee of .35% of the mortgage amount. The latter fee must be paid for the life of the loan. The main drawback of the USDA program is that the property you want must be in a rural area or small community. Before you apply, use the USDA’s property eligibility tool to determine if the home is located in USDA-designated rural area. In addition, the borrower qualification requirements are stricter than those for FHA and VA loans. Typically, you’ll need a minimum credit score of 620, and a debt-to-income ratio of no more than 41%. The FHA loan allows for a debt-to-income ratio of up to 50% (or more). Because the program is tailored for low-income home buyers, your income must not exceed a certain amount. These income limits vary from county to county, so review the maximum incomes for your county before you go any further. Check your USDA home loan eligibility. If you’re an active-duty service member, a veteran, a reservist or National Guard member, learn whether you’re eligible for a VA home loan. The benefits are huge. Loans guaranteed by the VA don’t require any down payment or mortgage insurance. In addition, there is (technically) no minimum credit score, though many lenders will want to see a score of 620 or higher. Theoretically, there is also no limit on how much you can borrow. However, because there is a limit on the amount the VA can guarantee to repay private lenders in the event of default, there is a practical loan limit. In most parts of the country, the loan limit is $417,000. For high-cost areas in the continental U.S. the limit is $625,000, and it’s even higher in Hawaii. You do have to prove that you earn enough income to repay the loan, and you can’t have too much debt. But these guidelines are usually more flexible than those of conventional loans. VA loans are available only to finance a primary residence. You can’t use the loan to buy or refinance a vacation or investment property unless you plan to live there for at least a year. To get the best interest rate and terms, you should always comparison shop for a mortgage. Contact at least two mortgage lenders (and preferably more) to compare interest rates, closing costs and other fees. A lender should provide a statement of the mortgage’s terms and costs before you commit. This will help you make an apples-to-apples comparison between loan offers. Whenever possible, see if you can reduce the interest rate in exchange for a larger down payment. In some cases, it might also make sense to pay upfront fees (discount points) to lower the rate. If you plan to stay in the home for a long time, paying points and/or a higher down payment could trim thousands of dollars from your repayment total. Before you start home shopping, hire a good real estate agent. A qualified agent will know where to find homes in your price range and will handle much of the paperwork. The agent will also serve as your lead negotiator and should be able to connect you to many other real estate professionals – from appraisers and home inspectors to real estate attorneys and contractors (in case the home needs fixing up). A good agent can also help you to avoid common newbie mistakes – such as skipping the home inspection or paying the full asking price when the seller may be willing to accept less. Typically, the buyer’s agent is paid by the seller, so there’s no reason not to hire an agent, and plenty of good reasons why you should. Click to begin the home buying process. Pete Gerardo is a business writer whose work has appeared in The New York Times and numerous trade magazines. Connect with Pete on LinkedIn. Next story Why is the Total Bill For a Home More Than the Borrowed Amount?